Dear Collinsville High School Classmate of 1965. Unbelievable!!! Would you, could you, have ever thought sitting in sixth hour back in 1965 when time stood still that in the blink of an eye, we would be approaching our 50th anniversary of graduating??? Our hair may not be as it once was, and the shifting sands of time may have affected some of our bodies, but our minds are still sharp and our craving for a good time has not diminished! We may not be able to make it to a bridge party or make a quick run to Two Mile Corner but I bet we can still party till the cows come home! 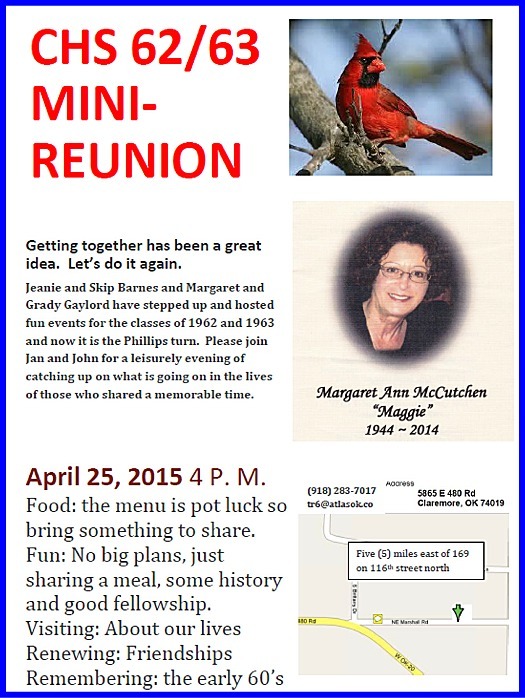 Our 50th Class Reunion will be held on June 27, 2015 at the Osage Casino Skiatook. In conjunction with the casino, a block of 21 rooms has been set aside at a reduced rate of $119.00 per night plus tax. There are 11 Luxury King Suites and 10 Luxury Double Suites set aside for the Class of 65. To book one of these rooms, call 877-246-8777 or go online to www.osagecasinos.com and book using code CLASS65. As part of this promotion, this also includes the breakfast buffet for two the next morning between the hours of 7:00 to 10:00 a.m. These rooms will be held until June 13 but book as soon as possible to guarantee your room. The reunion will be from 6:00 p.m. until 12 midnight, with dinner served at 7:00 p.m. We will be having dinner at the Casino at a cost of $25.00 per person, which also includes tea and/or coffee. For those that want something different, they do offer drinks containing alcohol for purchase. A check for dinner needs to be made payable and mailed to Karen Kidwell (she is listed on the bank account for the class). Please return as soon as possible deadline is June 1 (see address on back). For those arriving early in the day, several classmates are getting together for lunch in Collinsville at the Silver Dollar Café at 12:00 to 1:00 and then walk/tour around town. No reservations are required for this portion and everyone is responsible for their own lunch choices. A short program will be made during/after dinner and of course, there will be no end to the re-uniting with all of our classmates! Would you like to help or participate in planning and execution of the reunion with your time, cash donations, or other talents? Let Karen Kidwell (drewks@juno.com) know and she will be able to assist with your contribution. Also, if you have memorabilia that you would like to bring and share for the evening, please put your name somewhere on it so it goes home with you. To help the Casino plan the dinner and room size, could you please send Karen a note, e-mail or call that you will attend the reunion~~~that would help immensely. We would really like to see you there, so reserve the date and make plans to attend! If you know someone that has not received this notice, please pass along to him or her. We have several people that we do not have a current mailing or e-mail address. Some of our classmates have not attended a reunion in the past so if you reach out to them, we would really like to see and visit with them! Several of our classmates are now deceased and a tribute will be set up at the reunion in their remembrance. Looking forward to seeing you there!!!!! Ted  I just wanted to share if you wanted to go take pics. My pics arent very good, but in my neighborhood I do believe there was a tornado. Near 97th & 139th just southwest of the high school (above). The picture of the house (below) is across from the blue tower on 97th street. Collinsville got off easier than a lot of communities with last nights storms. I was out with the crew until 10pm last night. We have 3 electric poles that are compromised on Center Street just west of 5th street. High winds fractured at least one of the poles at its base and then the domino effect did the same to the other two. We have all three poles shored up and Electric is scheduled to replace at least one pole today. As far as outages: We had approximately 500 customers out when Electric was Dispatched a little after 6pm last night. All but approximately 50 were restored pretty quickly ( 1 hour) from time of dispatch. Unfortunately the 50 were not back on until approximately 9:45pm due to the shoring up process of the poles . We did have three fallen tree branch issues that required our street department to respond and clear the driving surface  one being at 13th and Exchange Its my unconfirmed understanding that the tree owner had replaced the fence from a previous failure of the tree not too long ago and the fence got creased again. Both our Street Department and Electric performed admirably with quick response and diligence to the job under adverse conditions. Im very impressed with these guys. OKLAHOMA CITY  Oklahoma Insurance Commissioner John D. Doak wants to make sure tornado survivors get the help they need. More than 1,100 homeowners insurance claims have already been filed in relation to Wednesdays severe weather across the state. The Oklahoma Insurance Department (OID) has set up consumer assistance booths to help storm survivors. The booths are located at the Serve Moore Community Renewal Center, 224 S. Chestnut Ave. and the Foundation Church, 7785 S. Highway 97, Sapulpa. Call your insurance company or agent as soon as possible. Ask what forms, documents and information you will need to provide in order to process your claim. Take photos and/or video of the damage. Make the necessary repairs to prevent further damage to the property. Examples include covering broken windows, leaking roofs and damaged walls. Do not make permanent repairs until your insurance company has inspected the property and you have reached an agreement with them on the cost of appropriate repairs. Save all receipts including those from the temporary repairs that might be covered by your insurance policy. If your home is damaged to the extent that it is unlivable, ask your insurer if you have coverage for living expenses incurred while repairs are being made. Save all receipts to document these costs. Sadly, this is also a time when crooks try to take advantage of people. Our Anti-Fraud Unit is out making sure that doesnt happen, said Doak. Don't let anyone inspect your property without you watching. Some unscrupulous companies will cause damage to drive up the repair cost and your insurance company will likely not cover the additional cost. Never pay the entire repair bill in advance. Pay in full only when the work is completed according to your agreement. Be suspicious of anyone who offers to get you more money for your insurance claim. Look for an established, licensed company and request references. Ask to see certificates of insurance to be sure both liability and workers compensation insurance coverage is carried, and are in force during the time the repair work is being done. Insist on a detailed, written estimate clearly stating the quantity of materials needed (labor charges, work specifications) which include approximate starting and completion dates, payment procedures and that any necessary building permits are secured. Some scammers will trick you into signing a contract by saying its an estimate. The homeowners signature is not required to receive an estimate. Carefully review and understand any warranty and watch for conditions that would void it. Use caution (ask questions) before accepting a bid substantially lower than other bids covering the same repair work. The Oklahoma Insurance Department also offers EAGLE Mediation. Its a program that helps citizens and insurance companies settle insurance claims disputes to avoid costly and time-consuming lawsuits. Commissioner Doak encourages storm victims to use this free service. Consumers with insurance questions are encouraged to contact the Oklahoma Insurance Departments Consumer Assistance Division at 1-800-522-0071. Wednesday evening, our state had a not so subtle reminder of two very important factsOklahoma is in Tornado Alley and we are in tornado season. Twisters struck the greater Oklahoma City and Tulsa metros, damaging vehicles and property. 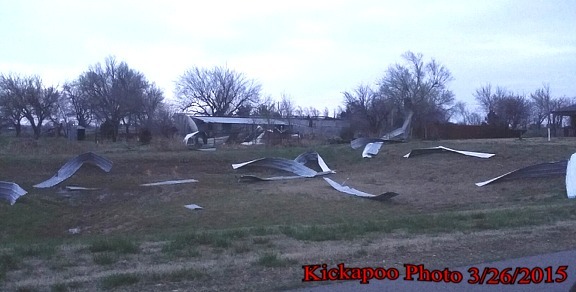 A Sand Springs citizen died as the result of one of those tornadoes and another person was injured. 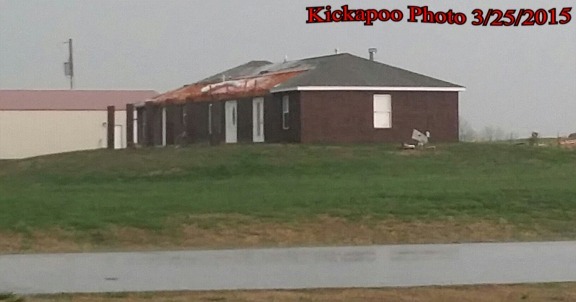 In addition to the tornadoes, other communities throughout the state suffered property damage from strong straight winds, large hail and flooding. On Thursday, Governor Fallin declared a State of Emergency for 25 Oklahoma counties, including Osage, Rogers and Tulsathis declaration is the first step toward seeking federal assistance for those impacted by the storms. Our civil emergency agencies, state Insurance Commissioner and other first responders and disaster relief organizations are always reminding all of us about tornado preparedness, but this weeks events should serve as a wake-up call for all of us. Tornado season is here and it is far from over. As Oklahomans, we know we are supposed to be weather-aware, but it is a phrase well worth heeding. I believe the meteorologists in our state, including our broadcast meteorologists and those at the National Weather Center in Norman, all do an outstanding job of providing life-saving information. Many stations offer aps that will send you warnings on your cell phone or computer when severe weather is likely in your area. If nothing else, this is the time of year to monitor your local weather on radio, TV, or on the Internet. Its also critical to have an emergency plan. If you dont have a shelter, where would you go to make sure you and your family are safe? The time to figure that out is nowbefore the next tornado hits. By the time the sirens are blaring, it may be too late. Make sure everyone in your household knows what that emergency plan is, and have an emergency kit already packed and ready to go. It should include things like a battery operated weather radio, a flashlight with working batteries and extra batteries, bottled water, non-perishable food and an emergency medical kit. If severe weather is predicted, make sure you have fully charged your cell phone. Also include your pets in your emergency plans, and have supplies for them. For more information about tornado safety and preparedness, visit the official website of the Oklahoma Department of Emergency Management at http://www.ok.gov/oem/.